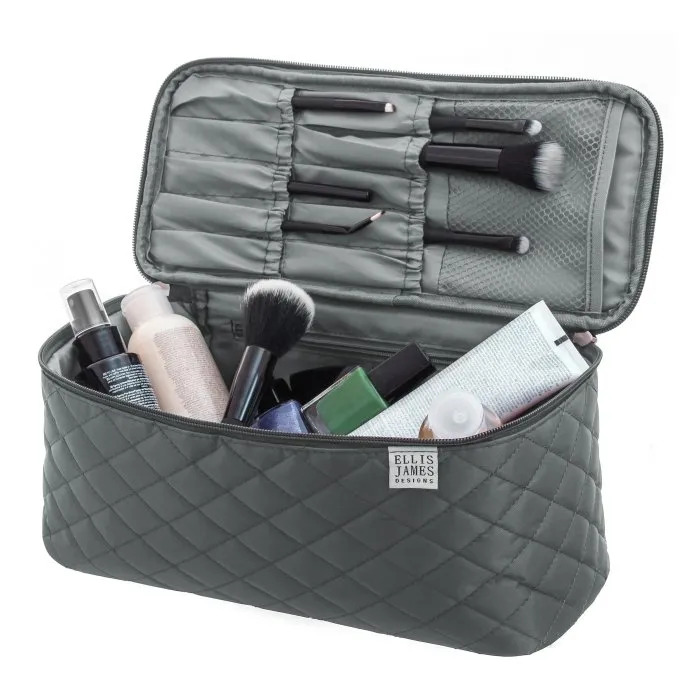 The Ellis James Designs Large Cosmetic Organizer features elegantly designed internal pouches, zipped pockets, 10 makeup brush slots and a large bottom compartment. 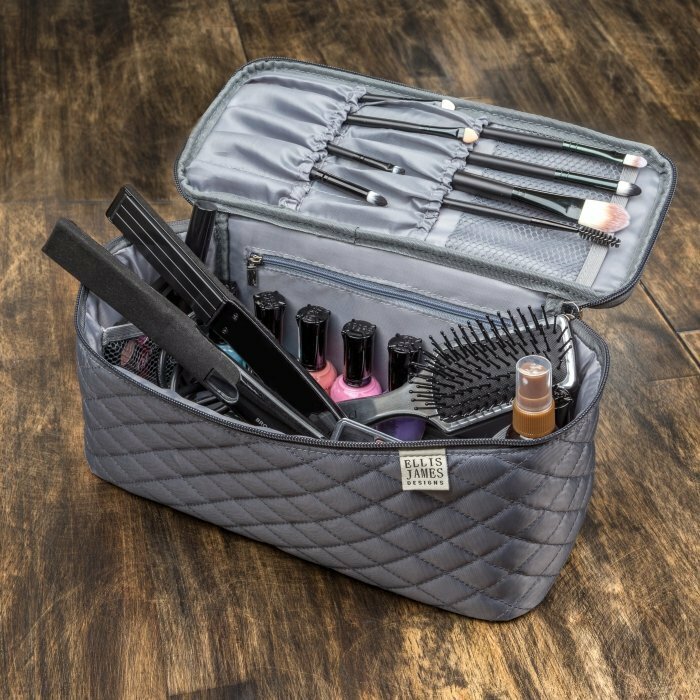 Store all your makeup, cosmetics, makeup brushes, toiletries, hair tools and accessories in this all-in-one travel organizer. The sky is the limit! Use your large travel organizer at home, for travel or on vacation. 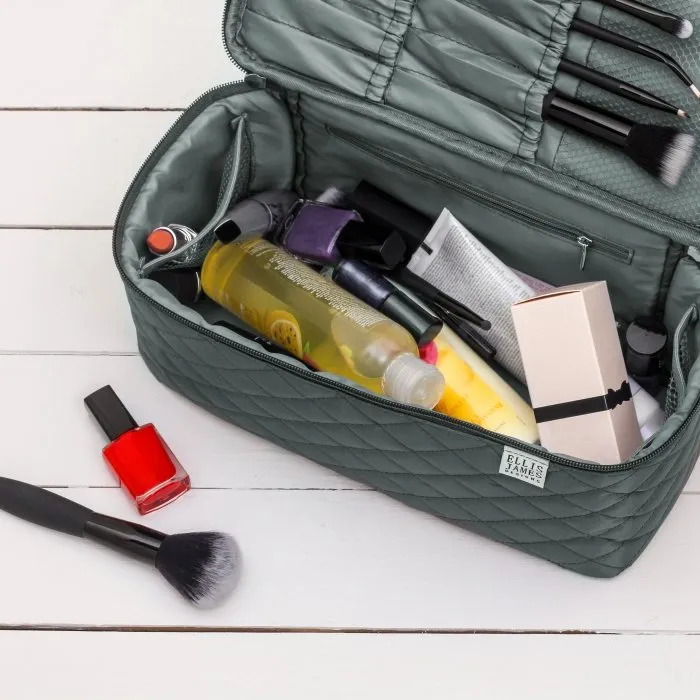 It’s the perfect bag for all of your beauty products and accessories. 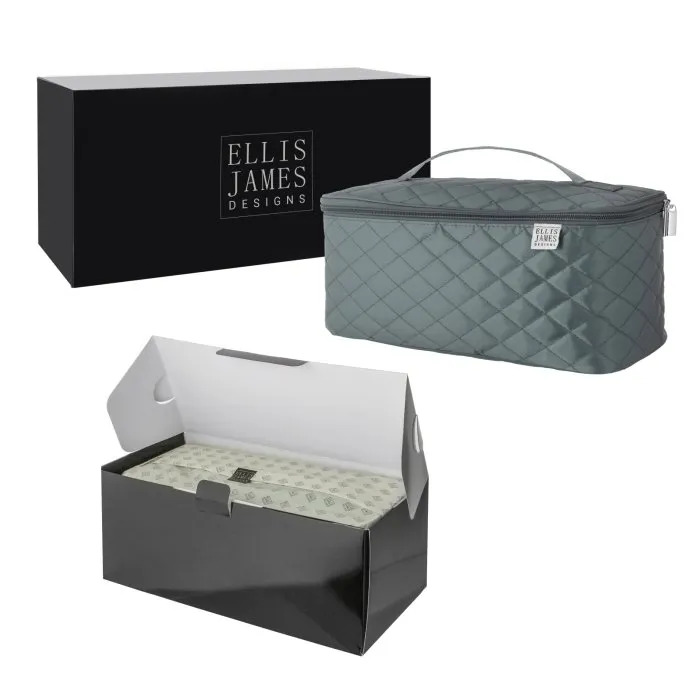 Whether a gift for someone else, or a gift for yourself, every Ellis James Designs product is a gift. Gift – wrapped and boxed with the love and attention of a family member. Was absolutely amazed that my shower stuff, make-up and all my extra all fit. Small enough to fit in my saddle bag for my motorcycle. 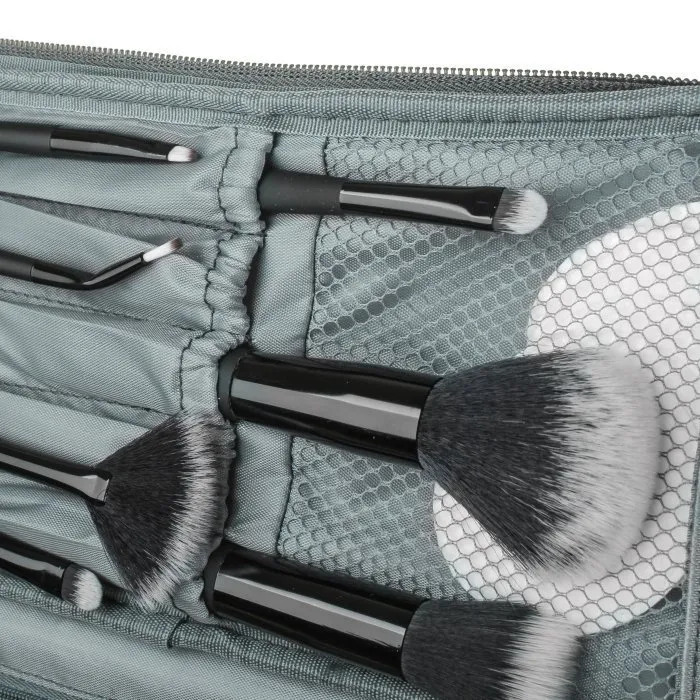 Great make- up bag that holds everything! Lots of compartments to keep u organized. 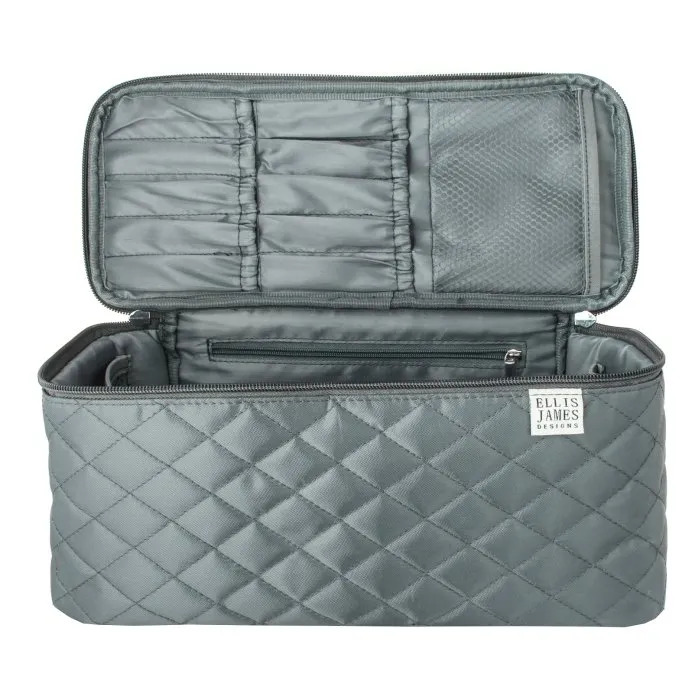 I received this product right before a weekend trip, and it was the perfect size for all my makeup/skincare needs! It was even long enough to fit my hairbrush. I have finally found the makeup bag that can hold ALL of my makeup neatly and I can still see everything without having to dig around to find something! It will even hold my mirror and still zip! All of my brushes fit nicely in the top. The two pockets on the sides hold my concealer, eyebrow pencils, lip liners and things like that upright where I can always see them. In the bulk of the bag, I can put my larger items like blush, foundation, eyeshadows and bronzers. I absolutely love that everything has its place and is displayed so that I can see it all. This really is the best bag for my makeup that I have found in all my years of wearing it! Perfect size for some of the longer shadows that are being made. Holds just what I need and perfect in my suitcase for traveling.